© DEAN LEWINS - 13.01.2012 - This un-staged image was made when a crew member from the Australian Antarctic Division's icebreaker, the Aurora Australis, attempted to photograph a child's toy penguin on the ice in Antarctica. 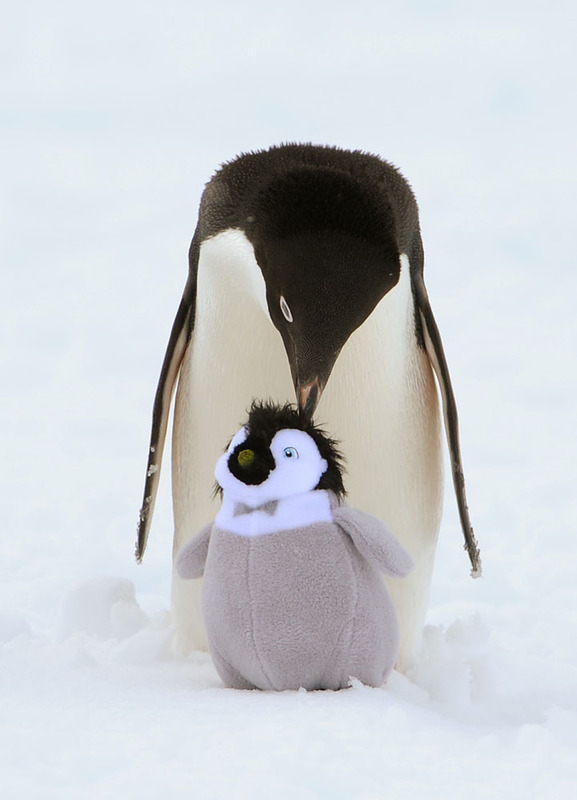 The crew member got more than he bargained for when a juvenile Adelie penguin mistook the toy for a penguin chick and began it's grooming ritual. The Aurora Australis was heading to Mawson's Hut at Commonwealth Bay, Antarctica for the 100th anniversary of Sir Douglas Mawson's landing.